Proof That Last Jedi Is Empire Strikes Back All Over Again? 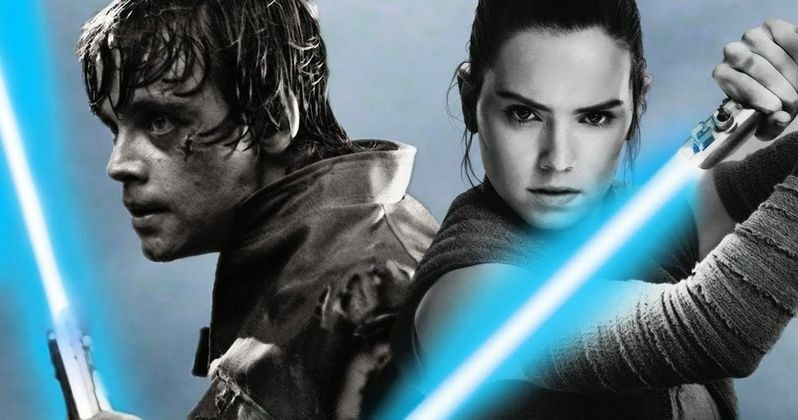 The latest trailer for Star Wars: The Last Jedi managed to really get fans excited for the next chapter of the Skywalker saga, which is headed to theaters on December 15. This is to be the second chapter in this new Star Wars trilogy, in the same way that Star Wars: The Empire Strikes Back was the second chapter in the original trilogy. That being the case, someone has taken it upon themselves to make a new trailer for The Empire Strikes Back done in the style of the latest Star Wars: The Last Jedi trailer. And it pretty much indicates what many fear is true. That the two sequels are basically the same movie. This remix trailer comes to us courtesy of The Unusual Suspect YouTube channel. The video repurposes a lot of the best footage from Star Wars: The Empire Strikes Back and puts it together in a style consistent with that seen in the Star Wars: The Last Jedi trailer. Instead of Snoke, Palpatine provides voiceover. Instead of Kylo Ren, we have Darth Vader. And, even though we all know that Luke Skywalker is the son of Darth Vader, that reveal is heavily teased in this trailer, much in the way that Rey's turn to the Dark Side has been teased in the new Last Jedi trailer. Movie trailers have come a long way in recent years and are really an art form of their own. It takes a lot to sell a blockbuster movie these days, so a trailer for a movie as big as Star Wars: The Last Jedi has to be great. When Star Wars: The Empire Strikes Back came out, the trailer didn't have to do nearly as much, or anything really, to get fans excited. The first Star Wars was a cultural phenomenon the likes of which the world had never seen before, so people were beyond ready to line up around the block for the sequel. But still, if Lucasfilm could have put out a trailer this awesome at the time, maybe The Empire Strikes Back would have been an even bigger success. This also helps point out the parallels that exist between both movies. However, even though there are similarities, fans don't need to worry that this is just a remake. Many feel that Star Wars: The Force Awakens is, to some degree, just a rehash of Star Wars: A New Hope. That's a valid point for more than a few reasons. But director Rian Johnson promises that Star Wars 8 is not just a redux of The Empire Strikes Back. Though it may be hard to get there watching this new edit. We won't have to wait much longer to find out just how true (or not true) that is, as Star Wars: The Last Jedi arrives in just two short months. If it's even half as good as The Empire Strikes Back without being a ripoff, we should be in good shape. Be sure to check out the Last Jedi version of the Star Wars: The Empire Strikes Back trailer, courtesy of The Usual Suspect YouTube channel, for yourself below. The Last Jedi is just two months away.